Finalists vying to be Nebraska's next dean of the College of Education and Human Sciences are (from left) Amy Bonomi, Sherri Jones, Donald Easton-Brooks and Rick Kreider. Four finalists for dean of the College of Education and Human Sciences have been announced by the Office of the Executive Vice Chancellor. Candidates were selected through a national search and will visit the university between Jan. 22 and Feb. 6. They will participate in multiple-day interviews and a public presentation followed by a reception. Each presentation is at 3:30 p.m. in the Nebraska Union Ballroom or Auditorium. Learn more about each candidate below and on the dean search website. The College of Education and Human Sciences includes seven academic departments that address the physical, intellectual, social and economic well-being of individuals, families, schools and communities in Nebraska and around the world. It was created in 2003 when the Teachers College and the College of Human Resources and Family Sciences were combined to become one of the first colleges of education and human sciences in the United States. 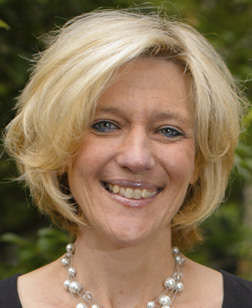 Marjorie Kostelnik, dean of human resources and family sciences, was instrumental in this merger, and served as dean of the new college for 14 years. She stepped down in July 2017 to lead University of Nebraska Central Administration’s budget response team. Bonomi is chair and professor of human development and family studies at Michigan State University. Over the past five years, she has led the department in a significant transformation, including recruiting and mentoring top faculty and student scholars, an increase in federal grant dollars and scholarly citations, and reduced time to degree among doctoral trainees. Bonomi also significantly increased philanthropic gifts to her department and college through Michigan State’s capital campaign. She is a well-known scholar in the area of domestic violence and prevention. Her work has appeared in national publications, has been used as a model in U.S. courts and by the Federal Bureau of Investigation, and has been recognized with the Distinguished Scholar Award from Ohio State University’s College of Education and Human Ecology. She is co-founder of the Women’s Leadership Institute and co-editor of the forthcoming book “Women Leading Change in Academia: Breaking the Glass Ceiling, Glass Cliff and Glass Slipper.” She is associate editor of the Journal of Women’s Health and is chair of grant review panels for the U.S. Centers for Disease Control and Prevention and the National Institute of Justice. Bonomi received her Bachelor of Science in applied psychology from Loyola University-Chicago and her Master of Public Health and doctorate in health services from the University of Washington-Seattle. Jones is chair and professor of special education and communication disorders at the University of Nebraska–Lincoln. In the last seven years, she has developed a collaborative culture that enhanced research, improved grant productivity, increased partnerships with the campus and community, expanded clinical services, and bolstered opportunities for study abroad. 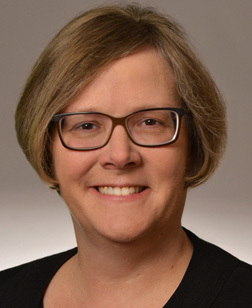 She is also director of the Barkley Memorial Center, which houses three training programs, two clinics, nine research laboratories, three partner service agencies, and the Nebraska Hearing Aid Banks. Her research focuses on the influence of genetic and environmental factors on auditory and vestibular development and aging and has been funded by the Department of Defense, Deafness Research Foundation and National Institutes of Health. Her techniques have been adopted in laboratories around the world and her work has been featured in peer-reviewed articles, books, and presentations. Jones currently serves on the university’s Department Executive Officers Advisory Board and Executive Committee for the Center for Brain Biology and Behavior. She earned degrees at Nebraska, including a Bachelor of Science in speech pathology and audiology, Master of Science in audiology, and doctorate in psychological and cultural studies with an audiology and hearing science emphasis. Easton-Brooks is dean of the School of Education and professor of education at the University of South Dakota. Under his leadership, the school achieved national recognition with its first ranking by U.S. News and World Report for online and graduate programs, has been nominated for national program and research awards, and has developed collaborative research with top-ranked universities. 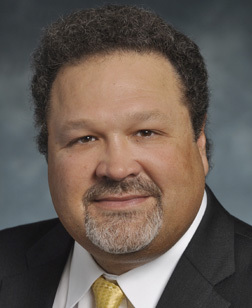 He has presided over increased graduate and undergraduate enrollment, number of students and faculty of color, and partnerships with school districts and service agencies. Easton-Brooks has also served in dean and leadership roles at the University of Connecticut and the University of North Texas. He is best known for introducing the concept “ethnic matching” to the field of education. 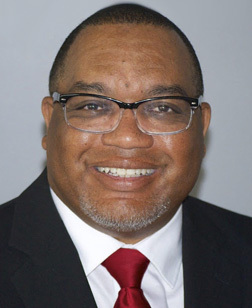 His research has been cited in educational initiatives, policy efforts, and numerous publications and has been key to creating high school pathway programs designed to promote equity in education. He created and chaired the Oregon Educator Equity Advisory Group to develop a culturally-responsive educator workforce, served on a U.S. Secretary of Education panel to bridge the gap between the Twin-Cities workforce and communities, and is a current member of the Urban Education journal editorial board. He holds a Bachelor of Arts in sociology from Greenville University. His Master of Arts in early childhood special education and multicultural family studies and his doctorate in educational leadership are from the University of Colorado at Denver. Kreider is executive director of the Human Clinical Research Facility and professor of health and kinesiology at Texas A&M University. He is a first-generation college graduate with Native American heritage who understands how education transforms lives. Departments under his leadership at Baylor and Texas A&M universities experienced extraordinary growth, development, improved teaching and research facilities, enhanced scholarly productivity, improvement in national rankings, and international impact. At Texas A&M, the department significantly increased freshman applications, first-time in college enrollment, major enrollment, and minority enrollment. The department was ranked the nation’s top health and physical education program by College Factual in 2018. Kreider has over 30 years of administrative experience in higher education. He has conducted many studies in his field and has published three books along with numerous articles, book chapters, and research abstracts. He is editor-in-chief of BioMed Central Journal of the International Society of Sports Nutrition. Kreider is a fellow and member of several sports medicine and nutrition associations, including the American College of Sport Medicine, and has received a number of professional honors and awards. He received his Bachelor of Science in physical education with an emphasis in health from Liberty University. His Master of Science in applied exercise physiology and doctorate in applied exercise physiology are from the University of Southern Mississippi.